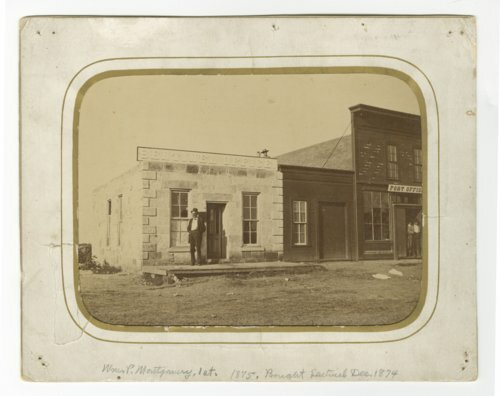 This photograph shows William P. Montgomery standing in front of the first Hays Sentinel newspaper office in Hays, Kansas. William bought the newspaper in December 1874. The gentleman standing on the roof has been identified as Bill Upton.